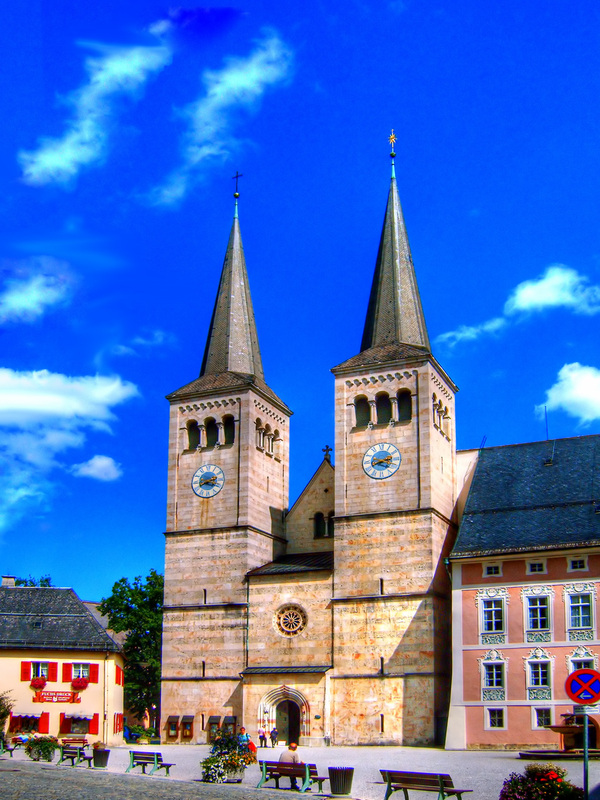 Berchtesgaden's history dates back to the 11th century, and has been ruled by a number of different regimes over this long history. Due to its proximity to Austria, it was under their control up until 1810 after which Bavaria took over. 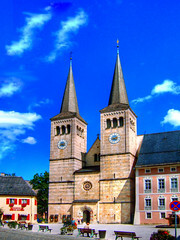 Since then, the town has become more and more popular and now serves as a major tourist center in Bavaria. The town is well known because of its vicinity to a number of popular attractions. It is only a few miles away from the Königssee, a spectacular glacial lake with steep mountains on each side. The town was also at the center of Nazi Germany, as the Nazi party purchased the entire area of Obersalzberg for the use of senior leaders. Hitlers Berghof, where he spent much of his time entertaining foreign dignitaries and relaxing, was built in this area. Unfortunately, this made the region a target for allied bombing, however most non-Nazi related structures were rebuilt to their previous state after the war. The spectacular Eagles Nest (Kehlsteinhaus) is also reachable by bus from the train station at Berchtesgaden. 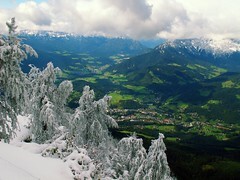 The Berchtesgaden National Park is also a popular spot for people in the region. For people wanting to get away from it all, this region is perfect as major tourist spots are confined to just a small portion of the park, so it is possible to hike into relatively deserted areas without any problems. In winter, it is possible to ski on the mountains around the town. Although not as big as many resorts in nearby Austria, the area is still popular with the local population and is still good by world standards. 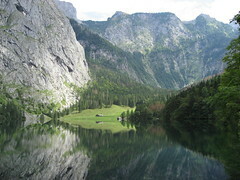 There is also a bob sled run in nearby Königssee which is used for international competition. Berchtesgaden is located very close to the Austrian border, and a day trip to the town can easily be done from Salzburg. It can be reached by train in around 1 hour from Salzburg Hauptbahnhof. All nearby attractions can be reached by bus from the town, however it is easier and much less stressful to use a car to navigate around the area. The trip using a car from Salzburg to Berchtesgaden is only around 30 minutes. Be the first to write a review about the Berchtesgaden! See below for more information. Have you already visited the Berchtesgaden? If so, let everyone know what you thought about it by writing a review! No registration necessary. Just click here to start writing!